Red Dead Online is all about making money. One way of making money is by selling items. Where do you sell these items you ask? I’ll show you. 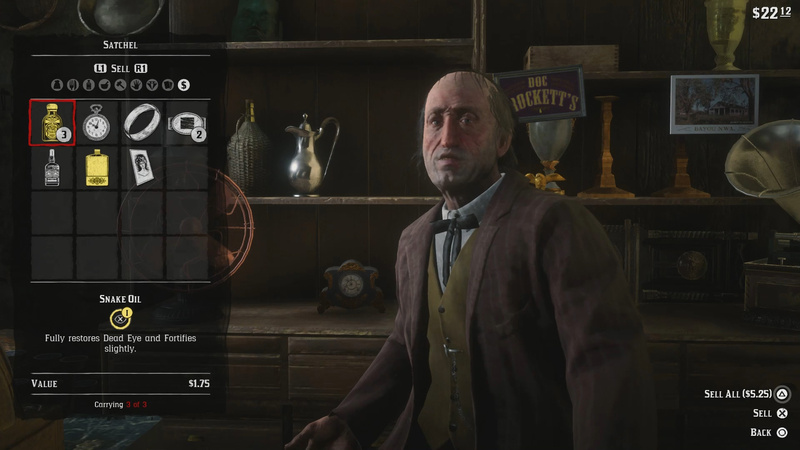 Here’s where to sell items in Red Dead Online. Note: There is a Gold Belt Buckle Trade award for selling items at each of the 3 shops listed below (easy XP). A Fence will buy items you steal from people. One place you can sell your items is at a Fence. These shady business owners do not care where, how, or why you got the items, which is nice for those of you out there that are less than honorable cowboys. Anyways if you go to a Fence you can sell them a number of items including valuable items like jewelry, rings, watches, buckles, etc. There is a trade award associated with selling various amounts of valuables to a Fence (10/50/100/500/1000). You will find Fences in Saint Denis, Van Horn Trading Post, Thieves Landing, and Rhodes. Sell your animal items to the Butcher. Unlike the single player in Red Dead Redemption 2 there is no Trapper to be found in Red Dead Online. Instead we can sell our animal items to Butchers throughout the world. Butchers basically play a similar role to the Trapper as they will by animal products you get from hunting. Animal products include things like meat, pelts, and other materials. There is a trade award associated with selling various amounts of animal products to a Butcher (10/50/100/500/1000). You will find Butchers in Saint Denis, Strawberry, Valentine, Blackwater, and Rhodes. You can sell herbs you collect to a Doctor. The last merchant you can sell items to is a Doctor. Doctors can be found in the various cities of Red Dead Online. At a Doctors you can sell any pickable flowers/herbs like Violet Snowdrop, Creeping Thyme, Currants, etc. Of all the merchants, selling items to a Doctor seems to be the worst way of making money. There is a trade award associated with selling various amounts of herbs to a Doctor (5/25/50/75/100). You will find Doctors in Valentine and Saint Denis. 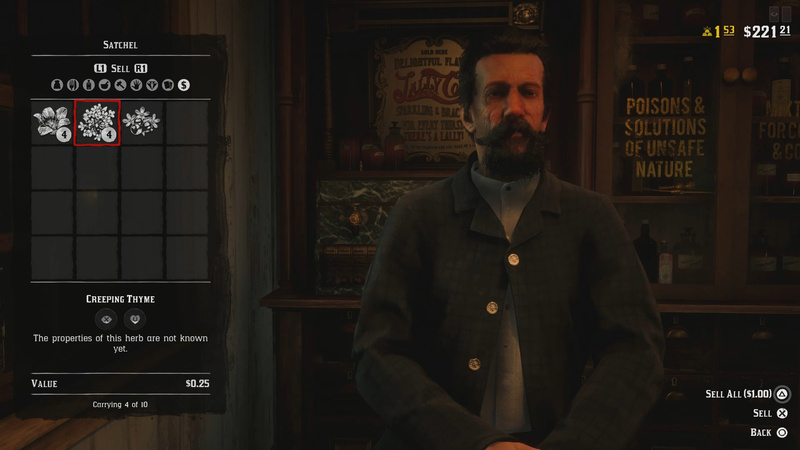 Rockstar allows players to sell some things in Red Dead Online, but not everything can be sold. Since the game is currently in beta these unsellable items may become sellable, but for now I will just be listing them here. Let me know what else can’t be sold and I will add it here. 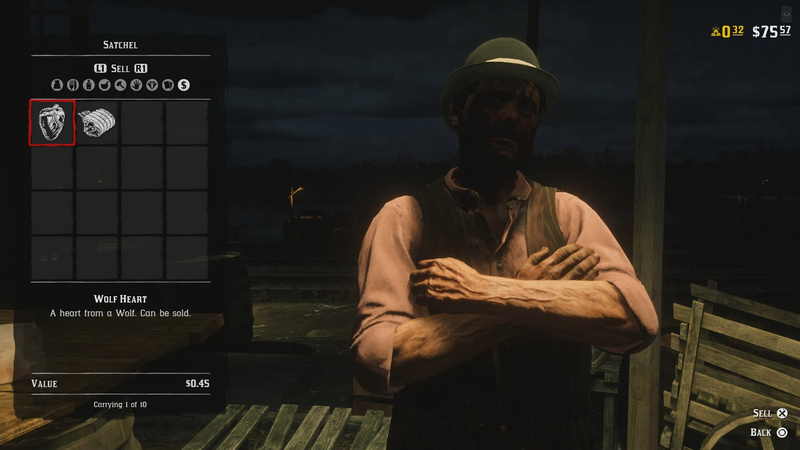 Thoughts on our where to sell items in Red Dead Online guide? Let us hear them in The Pit below. Cigarettes cannot be sold either as far as I can tell. Non of the fences, general stores or drug stores will buy moonshine or tonics. Is there not anywhere to sell them?! It doesn’t look like it. R* can’t have you making to much money now can they?